We work with representative groups during the creation of Easy Read documentation, helping to ensure the final document is clear, concise, easy to use, understandable and fit for purpose. Specialist images and graphics are used alongside the text to help illustrate the meaning of a word of sentence, assisting with the delivery of the information in a picture form. Our Easy Read service has been developed over a 20 year period, we continually supply Easy Read document conversion to numerous well known public entities including the NHS, DWP, HM Prison Service and many more. Using simplified sentence structures and pictures, Easy Read is a way of presenting information in a format that people who have difficulty reading can understand. Easy Read is most commonly used by people with learning disabilities, however it is also useful for people such as the young, elderly or speakers of foreign languages. It is important to ensure your written information is accessible to all. We will work closely with you to understand your target audiences, so you can be confident you will be meeting your obligations. With over 20 years of Easy Read experience, and working with specialists and representative groups, K International can convert simple letters to large complex reports into Easy Read formats accessible to all. 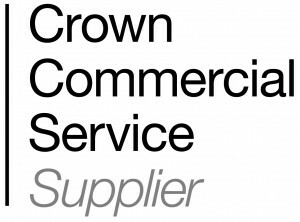 If you are part of a local authority or any other UK Government department, you can purchase Easy Read services under the terms and conditions of the CCS approved agreement RM1092. A summary of the document will be produced with the key points highlighted. All sentences will be shortened and simplified into Plain English. We aim to use a maximum of 20 words in a sentence. All abbreviations are written in full. The document will be formatted following the Easy Read guidelines, focusing on spacing, font size, colours and placement of imagery. Specially commissioned clipart/photographs are used to help illustrate the meaning of words or sentences, providing a visual aid. Throughout the process we consult with representative groups, gaining valuable feedback to ensure the final document is clear, concise, easy to use, understandable and fit for purpose. We are able to provide final documentation in an electronic version or printed hard copy.